We're back at Caydence! 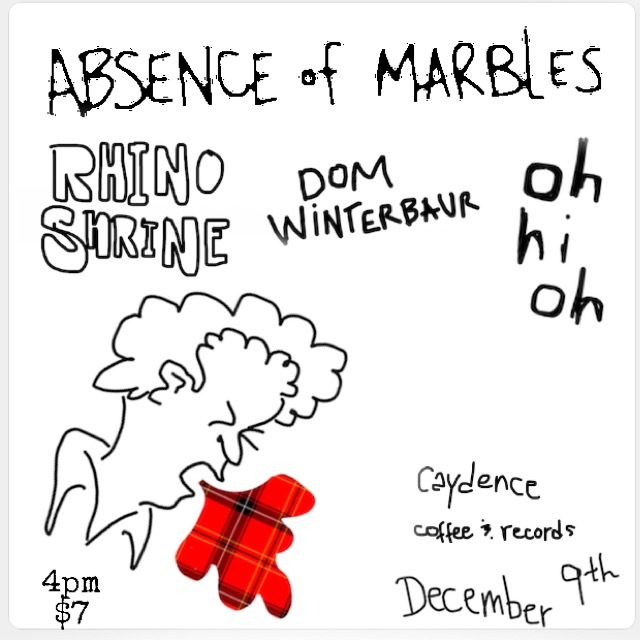 The lovely Absence of Marbles has invited us to play during their residency, and we couldn't be happier! Plus, music from Oh Hi Ho, Dom Winterbaur, and a live painting by Andrew Aim!